You might remember Pango, the adorable blue raccoon, from our previous review of Pango Imaginary Car. Developer Studio Pango has just released a cute seasonal app which is, best of all, multilingual. 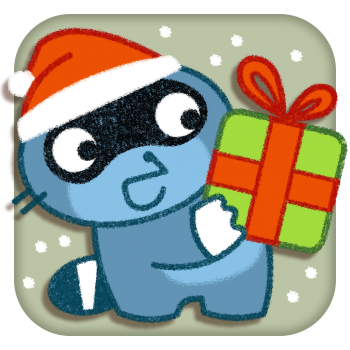 Pango Christmas 2013 is a fun way to keep kids excited about the upcoming holiday. 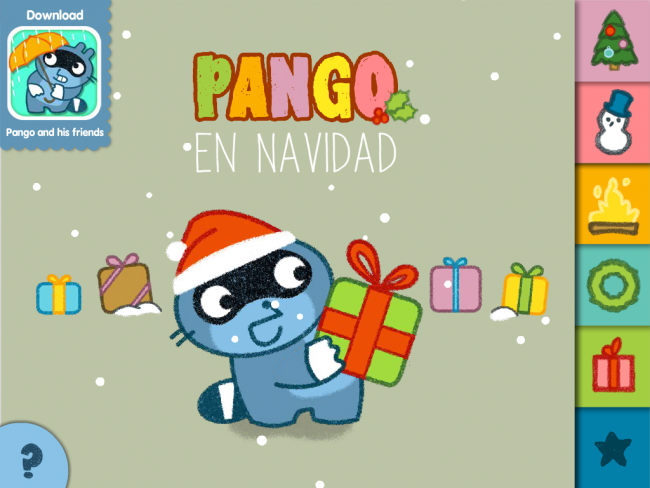 In this app, Pango is getting ready for Christmas with his animal friends. They are setting up the wreath, building a snowman, and staying warm by the fire while they participate in other traditional preparations. Each interactive page has some fun surprises and funny new characters. It’s highly entertaining for preschoolers and offers an opportunity for Spanish reading practice for the slightly older kids. Note: Just change your device language to Spanish (or any of the other 7 languages compatible with Pango apps) and the app language will change. Check out more from Studio Pango on their website. I was looking for other educational apps that bilingual kids will enjoy and found another one of your post. Thanks for sharing, this is a big help. This is quite handy since all I need to do is change my device language and i can used this app with ease. Thanks for sharing this nice resource. It’s really interesting. Keep up the good work and keep updating the same. I have subscribed to your site and will follow your posts regularly from on.